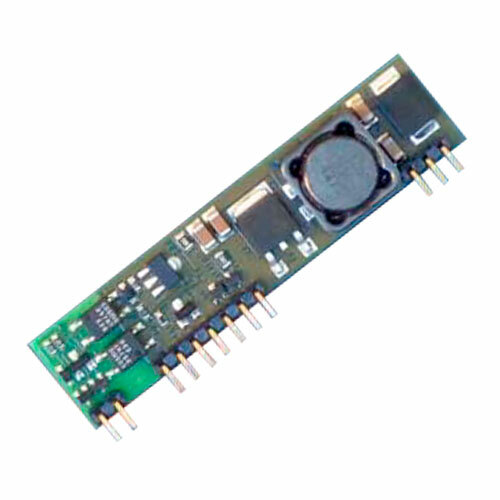 The Ag201 is a single channel, 24W maximum output power LED driver module. Designed for use in low voltage DC power and lighting distribution applications, it will accept any DC input voltage between 12V and 57V, so staying below the SELV limits. Its constant output current values can be programmed via a simple external resisitor from one of 4 preset values. Its output string voltage range is from 2V up to 34V, providing a huge input to output working range for maximum flexibility. Control can be via a powerful and convenient DALI interface, or a simple analogue 0-10V dimming input.